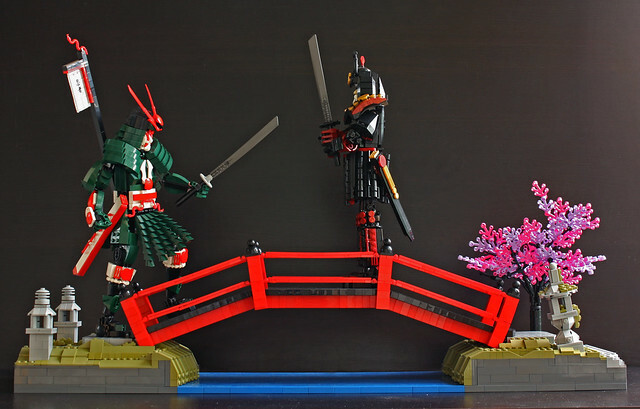 Eero Okkonen has a long history of building what are effectively elaborate action figures, like these two wonderfully expressive warriors - but everybody knows that action figures are the most fun when they're being played with. 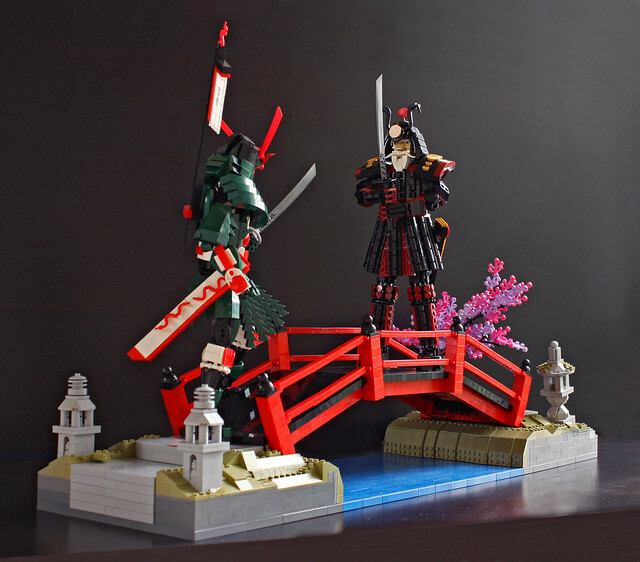 His newest scene pits a Samurai against a Shogunate on a serene bridge. The whole model is stunning, from the color scheme to the poses to the small details, like the snakes used as detailing on a sheath.